A party bagel is the best way to celebrate any special occasion. It's a giant bagel, and we cut it and serve it like a hero. Choose from Italian (ham, salami, pepperoni, provolone) or American (turkey, ham, American cheese). Both come with lettuce and tomato, as well as sides of mayonnaise, mustard, macaroni salad, potato salad, coleslaw, and pickles. If you prefer Italian bread, we can also do a 3-4-5-or 6-foot long hero. Heros are boxed, and party bagels are wrapped in festive cellophane. 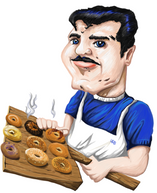 Party bagels can be refrigerated for approximately 12 hours before an event starts, so you can place your order to pick up in the morning for an evening fiesta. 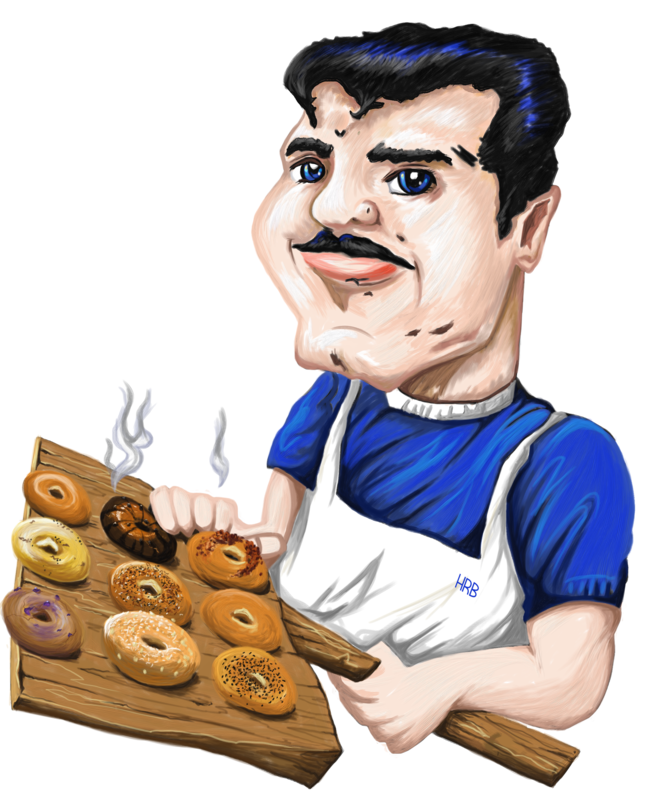 We make professionally catered trays of bagels, muffins, creamcheese assortments, and heroes. We also cater coffee: we will come and set it up before your event begins, and come back later on to clean up and pick up the coffee pots. Call us and let us know what you want us to do, and we can cater to your wishes. Please place large orders ahead of time. For the above products, please give us at least two days' notice.